Tuesday 18th October will see the launch of our new student-led campaign, which gives BME students a voice. The campaign will be rolled out across the University for all to see. Here’s more about what we have planned and how you can get involved. 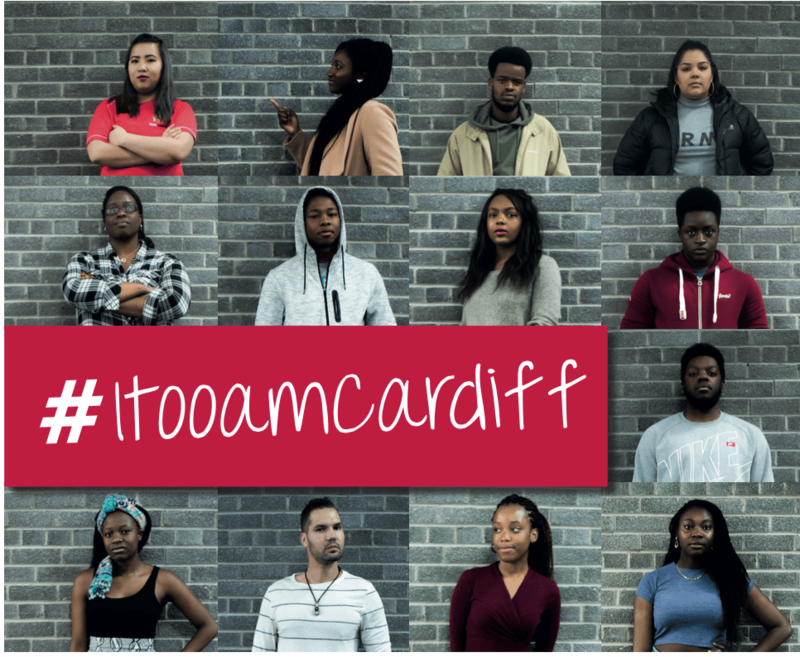 I, Too, Am Cardiff is a student-led initiative modelled on the highly successful I, Too, Am Harvard campaign. I, Too, Am Cardiff is also available in Welsh. The Harvard campaign featured BME students at Harvard College displaying a series of comments they’d experienced in everyday life. Our staff in Student Support have been working with a group of Cardiff University students to create their own hard-hitting campaign with a series of images and messages they hope will have a similar impact to the Harvard campaign. “There is no doubt universities need to do more to give black and minority ethnic students a voice on campus”. “I’ve been working with this dedicated group of students over the last year or so to help bring this campaign alive. The campaign’s centre-piece is a pop-up exhibition of 13 student images that will be displayed around the University’s campus over the coming months, starting in the Viriamu Jones Gallery Main Building, where the exhibition will be open for all to see from Wednesday 19th October. Further dates and venues will be shared via our studentlifecu twitter and Facebook accounts. Pop along to the exhibition and follow us on social media, which we hope will prompt further discussion, engagement and raise awareness amongst staff and students of the types of issues and comments faced by black and minority ethnic students. We’d like to thank all those involved, particularly our students, in making this campaign a great success and being such a pleasure to work with. Please re-tweet or share this post by using the share buttons via twitter and facebook.